Congratulations to these band students who received gold at solo and ensemble! Congratulations to the band students who received silver medals at solo and ensemble. Congratulations to the band members of the large brass ensemble who received silver medals and were half of a point from advancing ti state. 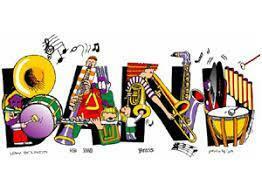 Congratulations to the band students in the large woodwind ensemble that advanced to state solo and ensemble contest!